Philippine authorities detained an elderly Australian Catholic nun overnight in what civil rights groups alleged Tuesday was a crackdown on foreign critics of President Rodrigo Duterte's human rights record. 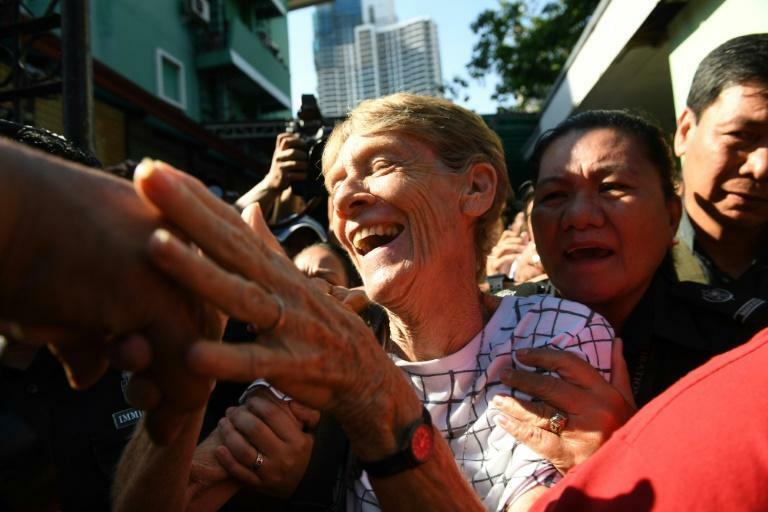 Sister Patricia Fox, 71, was held overnight at the nation's immigration bureau on Monday but was later released without charge, the government agency said, the day after it deported a European Union politician who has criticised Duterte's deadly drug war. Fox, a Manila resident, was taken into custody for allegedly violating the conditions of her stay by engaging in "political activities and anti-government demonstrations", the bureau said in a statement. "The allegation that she engaged in partisan activities is not true. She has been in the Philippines for almost 27 years doing advocacy work for farmers," Fox's lawyer Jobert Pahilga told AFP. Rights groups criticised Fox's detention as a warrantless arrest. The Philippines on Sunday deported Italian Giacomo Filibeck, deputy secretary general of the Party of European Socialists, who had condemned "extra-judicial killings" in Duterte's anti-drug crackdown. He has lashed out at foreign critics of his drug war, threatening last week to arrest the International Criminal Court's chief prosecutor, who has begun a preliminary examination of whether the campaign amounted to state-sanctioned mass murder. "This shows the international community that the democratic space in the Philippines is shrinking. We are not just concerned and alarmed but we view these actions as despicable," Amnesty International Philippines human rights officer Wilnor Papa told AFP. "If the government is threatened by a 71-year-old nun, there is something really wrong with the government." "They don't even mind if they are nuns or if they are old. There is no humanity here. People should realise the government has a tendency of being dictatorial," Pabillo said.